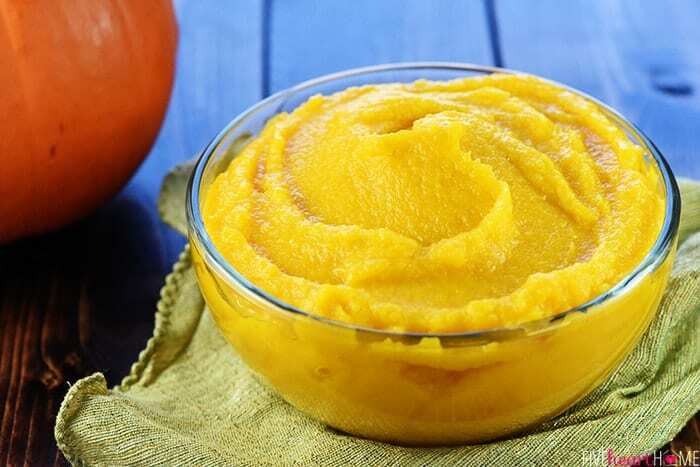 If you’ve ever wondered how to make Homemade Pumpkin Puree, it’s just a few easy steps to a healthy and delicious base for all of your favorite pumpkin recipes! Sometimes I feel like a fraud of a food blogger for the culinary achievements I haven’t accomplished. I mean, how can I call myself legit when I’ve never whipped up homemade chocolate croissants for a weekend breakfast or lamb chops for a dinner party? I haven’t mastered (or even attempted) an impressively high souffle. And I’m pretty sure James Beard doesn’t know who I am. But one thing I can finally cross off my “Legit Food Blogger Checklist” is making my own Homemade Pumpkin Puree! I actually made it for the first time last fall, and I don’t know why in the world it took me so long to try it. So! How to make pumpkin puree. It starts with buying the right kind of pumpkin. 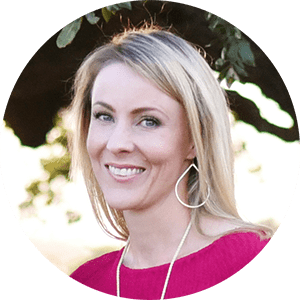 You’re going to want a couple of small pumpkins with firm, non-stringy flesh…which means the giant pumpkin you have slated to carve into a jack-o-lantern is probably not ideal. Most grocery stores actually have a display of small pumpkins in the produce section this time of year. Sugar pumpkins are the most common, easy-to-find variety of pie-friendly pumpkins (and what I used here). 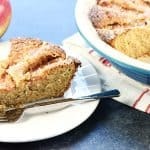 However, if you go to a farmers’ market or pumpkin patch, you’ll probably find other types of baking/cooking pumpkins, such as Baby Pam, Baby Bear, New England Pie, and Cinderella varieties. Talk to the grower/farmer if you’re not sure of the best choice! Start with two pumpkins that are around 2 1/2 pounds each. This is big enough to make a decent amount of pumpkin puree and small enough so that all of the pieces will fit on one baking sheet. …and then cut the pumpkin in half straight down the middle. 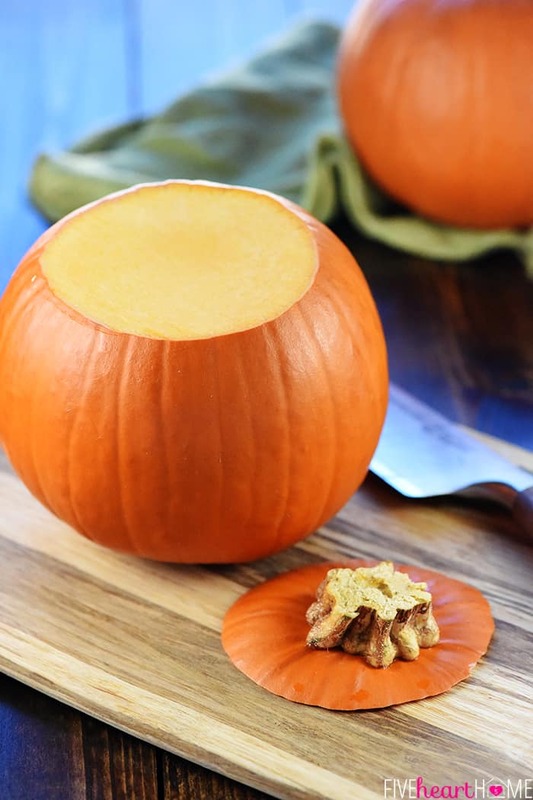 This is easier of you put the flat top surface (where you just cut off the stem) facing down, to give you a stable pumpkin that doesn’t roll. 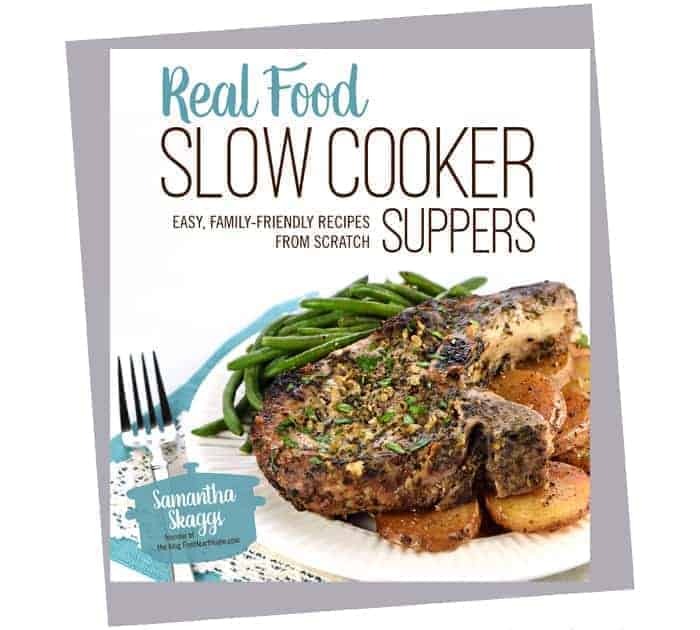 Now you’re going to scoop out all of those stringy seeds. You can use a big spoon, of course…but I highly, highly recommend using a melon baller if you have one. The sharp edge of the scoop is great for scraping, which helps free the pesky strings from the flesh of the pumpkin. 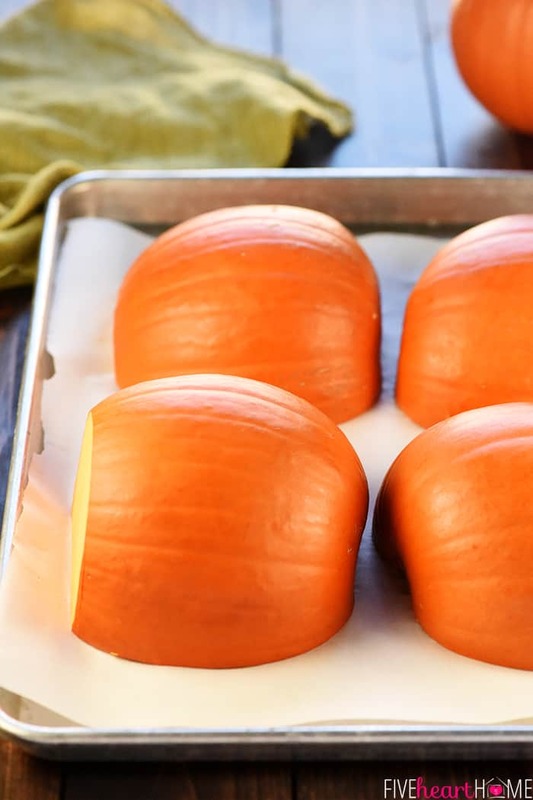 After your pumpkins are cut and cleaned, lay each half face-down on a rimmed, parchment paper-lined baking sheet. Then pop them in a preheated oven for about an hour. 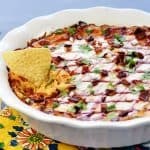 Once the pumpkin flesh is completely tender when pierced with a fork (think baked potato texture), allow the pumpkins to cool for about 20 minutes. 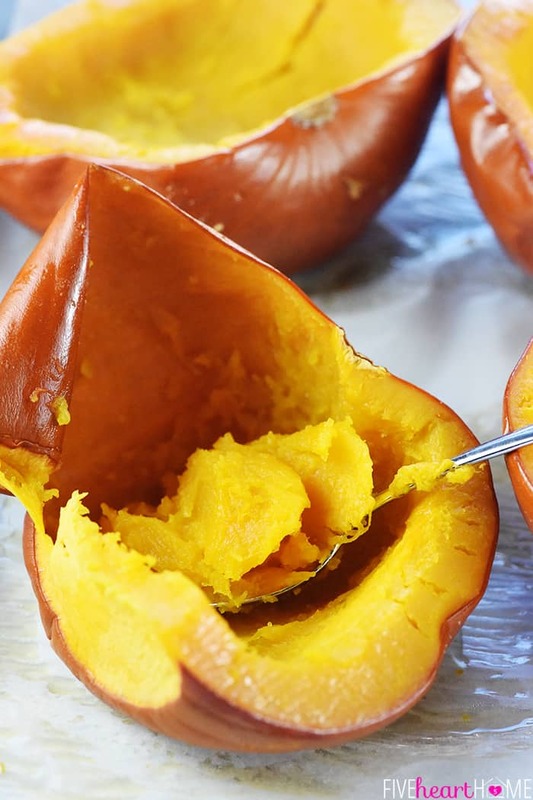 Then use a big spoon to scoop the soft pumpkin out of the shells and straight into your food processor. If the pumpkin is tender enough, you can actually turn the pumpkin shell inside-out and the flesh practically pops right out. …let ‘er rip! Process until the chunks have been transformed into a smooth puree. 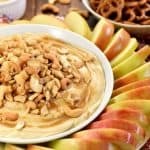 I find that if I pulse a few times in the beginning to get things going and then let the food processor run at full speed for a couple of minutes, the puree turns out smooth and creamy with nothing but pumpkin. 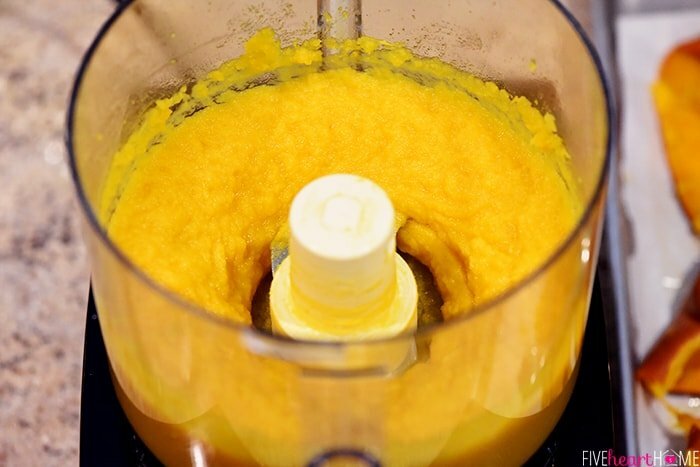 However, if your pumpkin seems to be on the drier side and the food processor is struggling to get it perfectly smooth, you can add a tablespoon or so of water to get things going. Just don’t add too much or you’ll end up with watery puree. 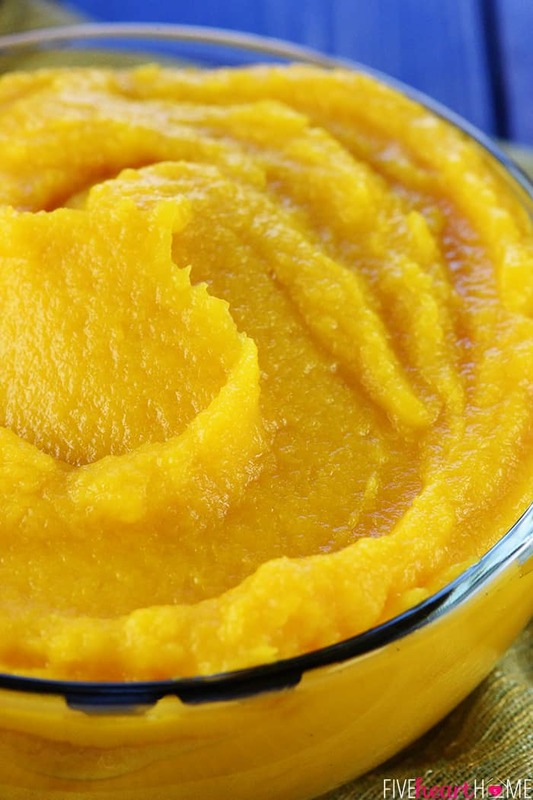 Transfer the puree to a container, repeat with the other pumpkin, and y’all…that’s it! I told you it was easy, right? 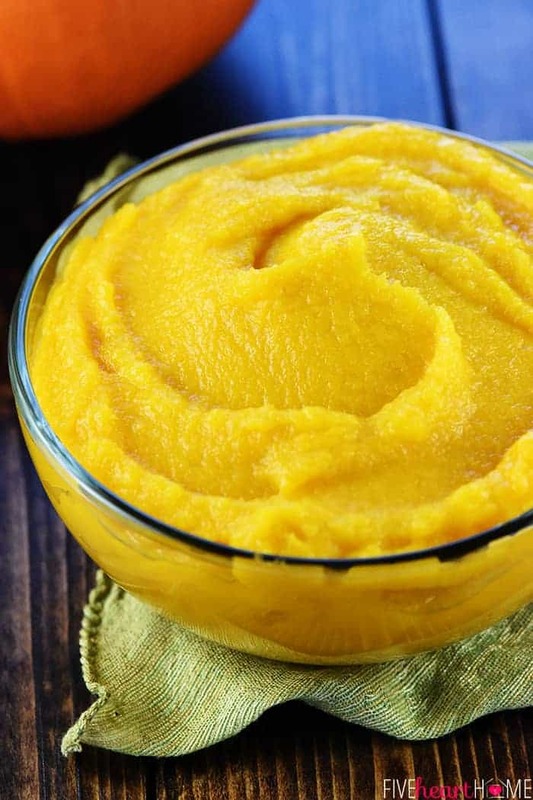 And the best part is, now you’ll have about 5 cups of pure, delicious Homemade Pumpkin Puree to use in all of your favorite treats, whether simply stirring it into oatmeal or baking it into yummy cakes and muffins! Oh happy fall day. As for storing, I keep my puree in the fridge if I’m going to be using it all up within a week or so. And if not, I freeze it in one- or two-cup portions in quart-sized, freezer-thickness storage bags. I squeeze out the air before sealing each bag, then flatten it and pop it in the freezer. Once frozen, the bags of pumpkin are thin and flat, perfect for stacking and quick to thaw in the fridge when I’m ready to use them. 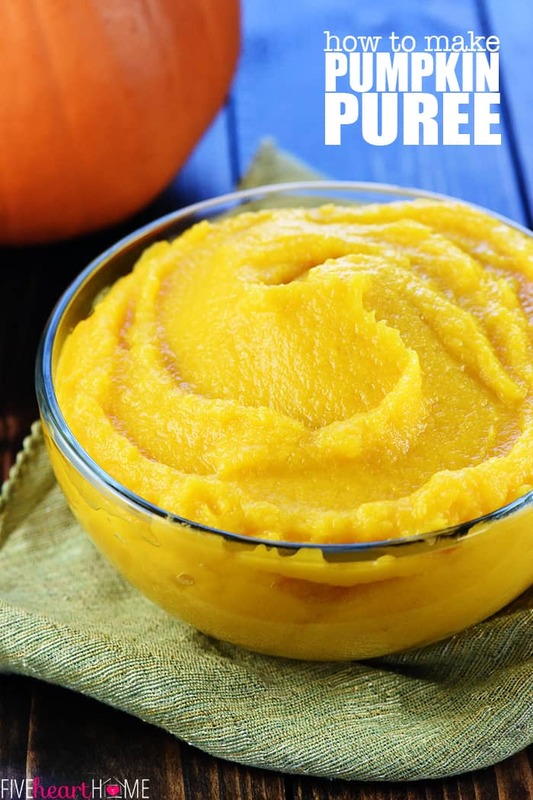 So go forth and make Homemade Pumpkin Puree…it’ll put you in the fall spirit like nothing else! Your house will smell amazing and you’ll feel like the most domestic guy or gal on the block. 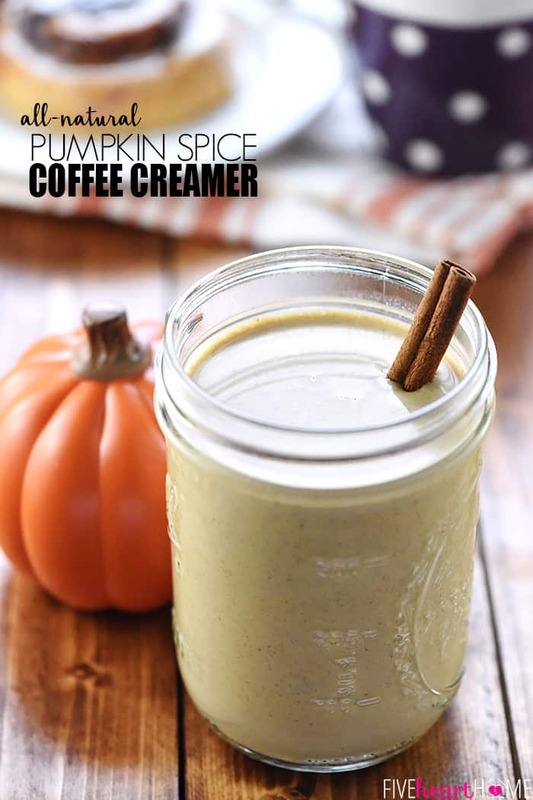 AND your favorite pumpkin treats will have that extra something that only comes with love that’s from-scratch…?? 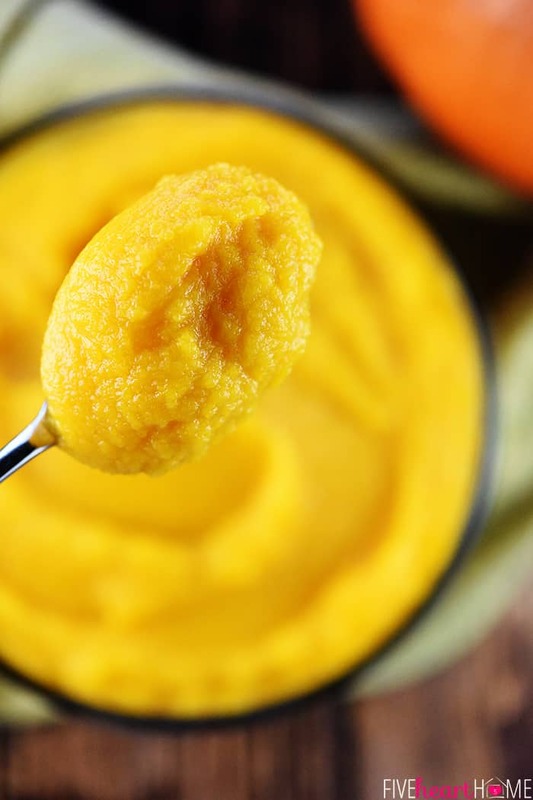 Homemade Pumpkin Puree is fantastic in so many recipes, from smoothies to scones to waffles to cake. 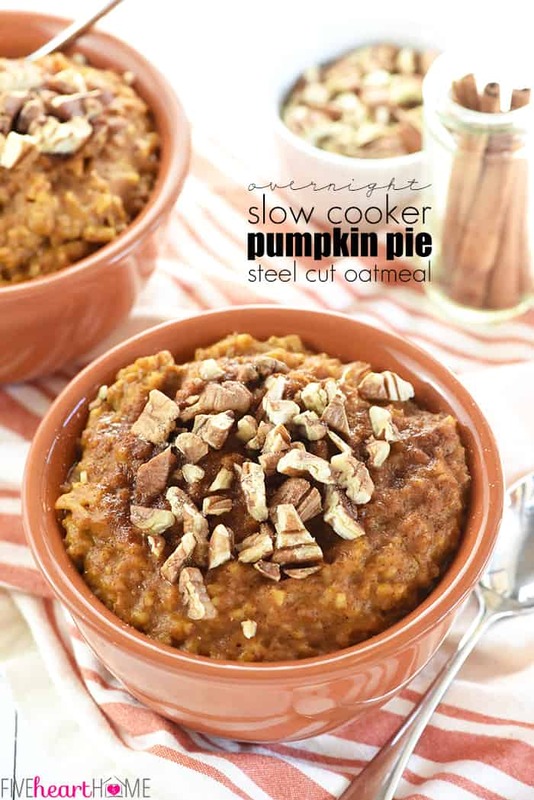 But if you’d like to use it for your Thanksgiving pumpkin pie, I suggest making the pumpkin puree several days ahead of time, in order to free up oven and counter space on the big day. If you freeze your pumpkin puree, be sure to label your freezer bags with the amount of pumpkin puree inside (as well as the date). A 15-ounce can of store-bought pumpkin puree contains just shy of 2 cups. So if you freeze pumpkin puree in 2-cup increments, you can thaw a bag any time a recipe calls for a 15-ounce can. 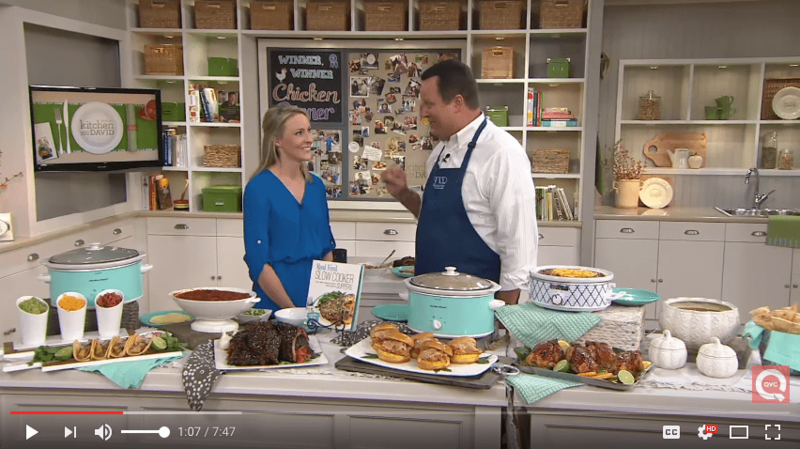 This is my favorite large rimmed sheet pan. And this melon baller has great reviews. And this is my beloved food processor, still going strong 13 years after a kind soul purchased it from my wedding registry.? 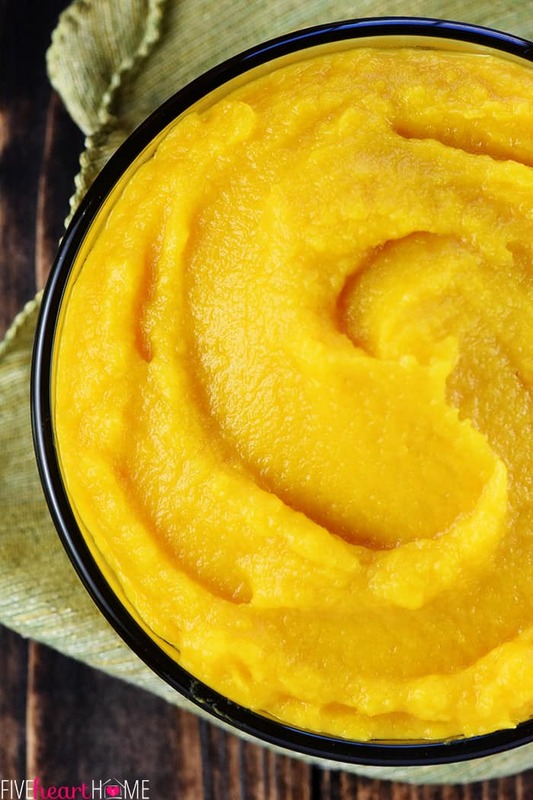 If you've ever wondered how to make Homemade Pumpkin Puree, it's just a few easy steps to a healthy and delicious base for all of your favorite pumpkin recipes! Adjust oven rack to center position and preheat the oven to 350°F. Line a large rimmed baking sheet with parchment paper. Use a large knife to carefully slice the stem off the top of a pumpkin. Cut the pumpkin in half, from the top to the bottom. Repeat with the other pumpkin. 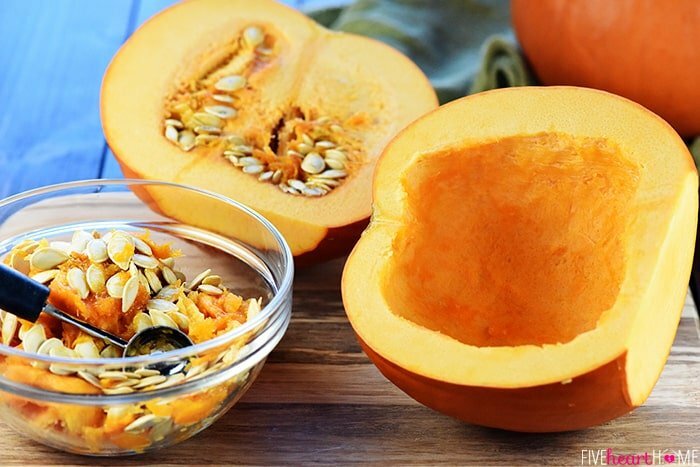 Use a melon baller (or large spoon) to remove the seeds and pulp from each pumpkin, scraping the cavities to get them clean. 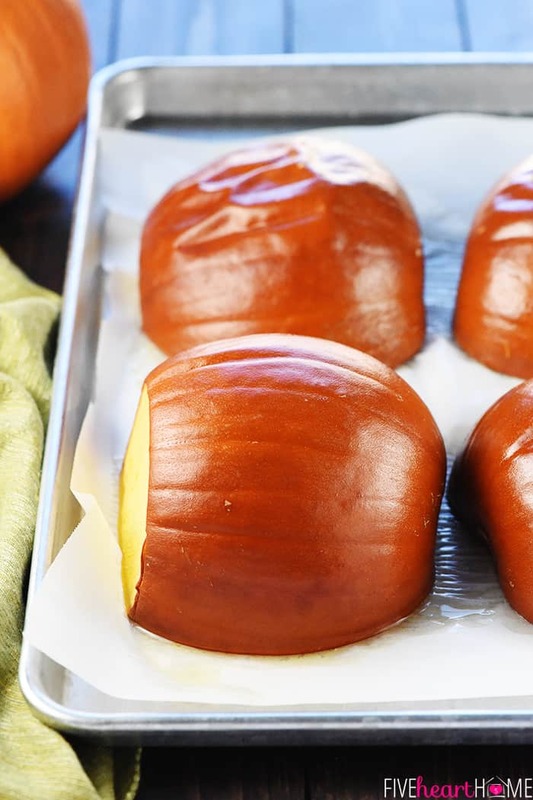 Lay each pumpkin half face-down on the prepared baking sheet. Bake the pumpkins for approximately 1 hour, or until the flesh is very tender when pierced with a fork. 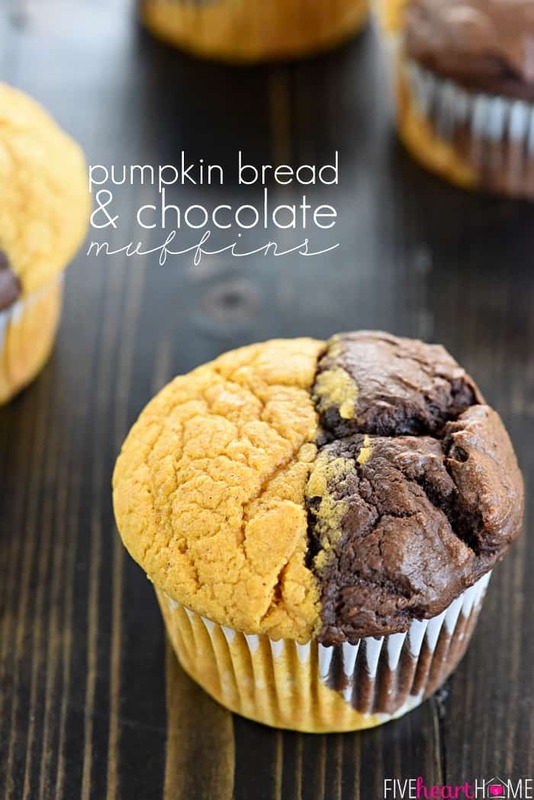 Turn the pumpkin halves face-up and allow them to cool on the pan for 20 minutes. 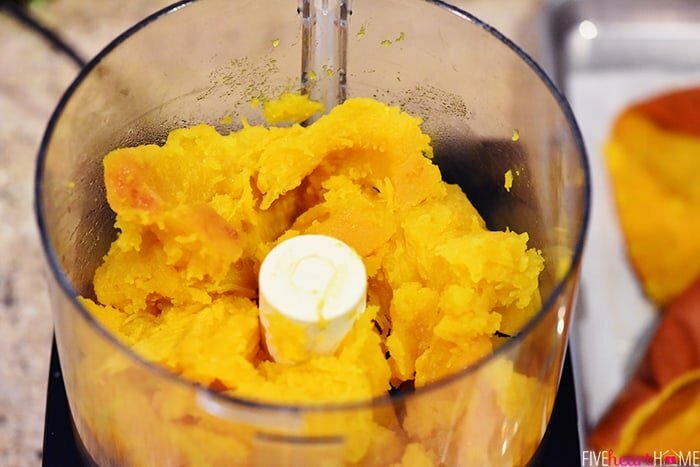 Use a large spoon to scrape the flesh from two of the pumpkin halves into the bowl of a large food processor. Process until smooth and creamy (add one spoonful of water at a time ONLY if necessary to get the puree smooth). Transfer the pumpkin puree to a container and repeat scraping and pureeing the remaining pumpkin halves. 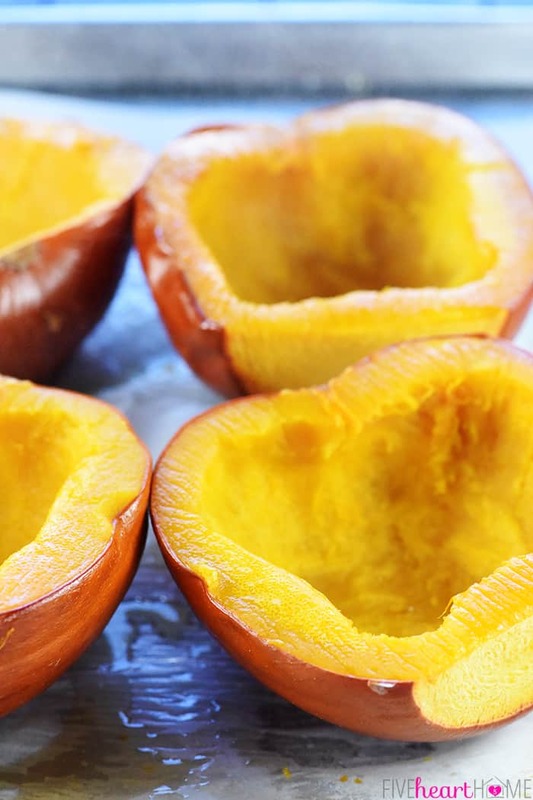 Store the pumpkin puree in an airtight container in the refrigerator for up to a week. 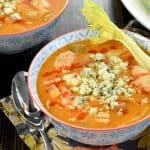 Or transfer the puree in 2-cup portions to quart-sized freezer bags, squeezing out the air before sealing, flattening, and freezing.